Dogs have special dietary requirements to keep them healthy. Some foods are likely to lead to discomfort, and others are downright deadly. 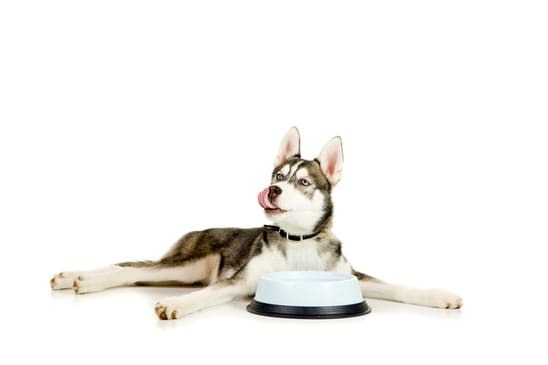 Here are three foods you should avoid feeding your Siberian Husky. This is particularly important in puppy stage where their smaller mass and less developed immune system can result in more serious and faster effects. Although some dogs are fine with milk and dairy, and others can tolerate a small amount, you generally should avoid feeding milk products to dogs. This is because dogs lack a digestive enzime named lactase, which breaks down the lactose sugars present in dairy foods. Foods to avoid are milk, ice cream and yoghurt. Problems after ingestion can include bloating, gas, diarrhea and other symptoms of an ‘upset tummy’. An accidental and small intake of milk and dairy is unlikely to lead to anything serious and life-threatening, but you wouldn’t want your Husky to be continually upset, would you? At pet stores and supermarkets you can buy special ‘puppy milk’ which has much less lactose and is safe to feed animals. It’s a great treat and healthy for younger puppies to get calcium to help build strong, healthy bones. Everyone loves chocolate, right? Well dogs might love it too, but it is a big ‘no no’ to feed anything chocolate to them. This includes chocolate bars (even just a nibble), cookies, brownies, cocoa drinks, licking the beaters after mixing a cake… anything with a chocolate component. The caffeine and theobromine chemicals present in chocolate are very toxic to dogs. The darker the chocolate, the more cocoa content, and hence more toxic. Ingestion can cause a wide range of issues including vomiting, excessive thirst, general discomfort, abdominal discomfort, heart rhythm issues, tremors, high temperatures, and so on. Seizures and death are at the extreme (but not unlikely) end of the scale. You need to be particularly attune during holiday seasons when chocolate poisoning cases go up; Easter, Halloween, Christmas, Valentine’s Day, etc. These are days where we are more likely to have chocolate lying around the house, on a coffee table, or in a bag. It isn’t fully understood why grapes and related products (raisins, currants, etc) are a problem to dogs, but the can lead to serious issues such as kidney failure. Some dogs are fine with these products, others are not. Worse is the symptoms can be delayed from 12 hours to a few days. Initial symptoms of poisoning include vomiting, diarrhea, and general lethargy. Over the next few days kidney failure might occur, or long-term kidney disease develop over time. Don’t forget that cakes, cookies, cereals, and snacks (such as muesli bars or trail mix) often have grape products in them. It isn’t just raw grapes that can cause issues. Milk, dairy, chocolate, and grape products all should be avoided for the lifetime of your Husky, and particularly at the puppy stage of life. You should stick to regular dog food in various forms and textures to provide some variety: dry kibble, wet food, raw meat, and doggie treats. Don’t forget to lock up your kitchen cabinets or keep your Siberian Husky out of the kitchen. Bored Huskies will open anything that can be opened and investigate. Sooner or later they will find something they shouldn’t be eating and will not know any better. So keep your Husky away from human food! If your dog does ingest these foods: head straight down to your vet or animal medical centre. They can administer treatment to help get your dog healthy again. If nothing else you can live knowing you did all that was possible to save your Husky (and more than likely it will survive if you act quickly). 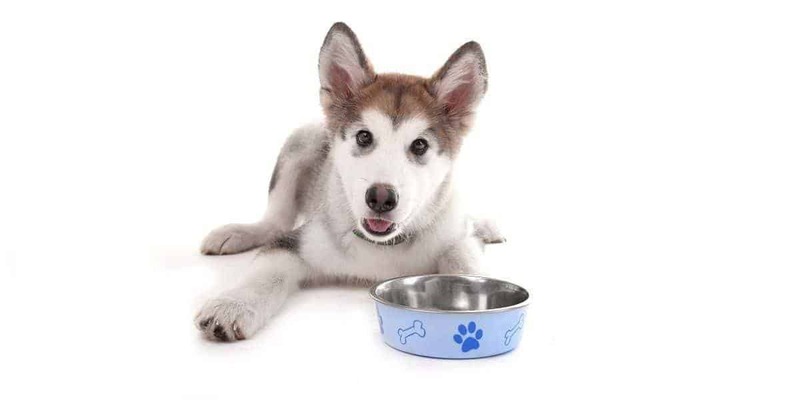 This article continues in Three More Foods To Avoid Feeding Your Husky Puppy.